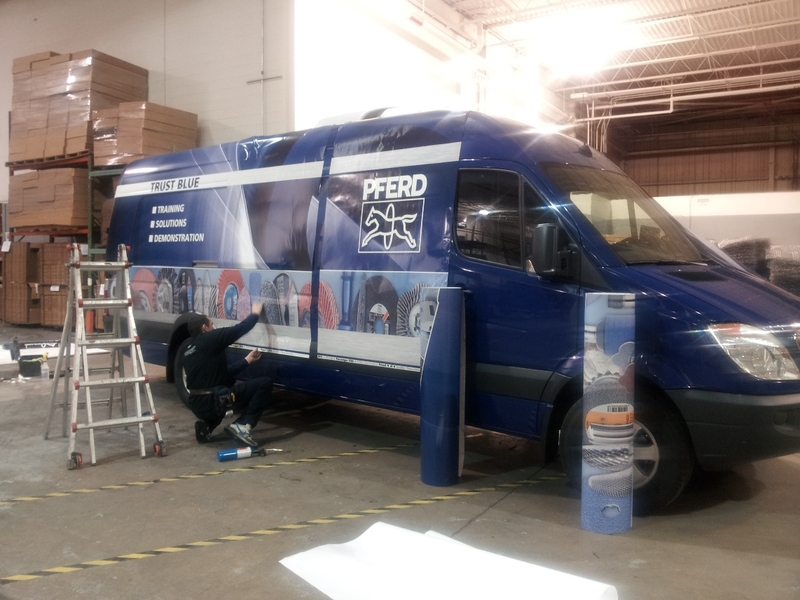 After many months of planning, designing, and collaboration, the PFERD TOOL VAN is “wrapped”! The talented professionals at GFXI, a design company specializing in merchandising displays and large-scale branding, have been working closely with PFERD’s Marketing Department since the summer of 2012 to bring this long-awaited project to life. Based in Chicago, Applications Specialist Kevin Kolb will be test-marketing our TOOL VAN program in the Chicago-Milwaukee corridor initially. 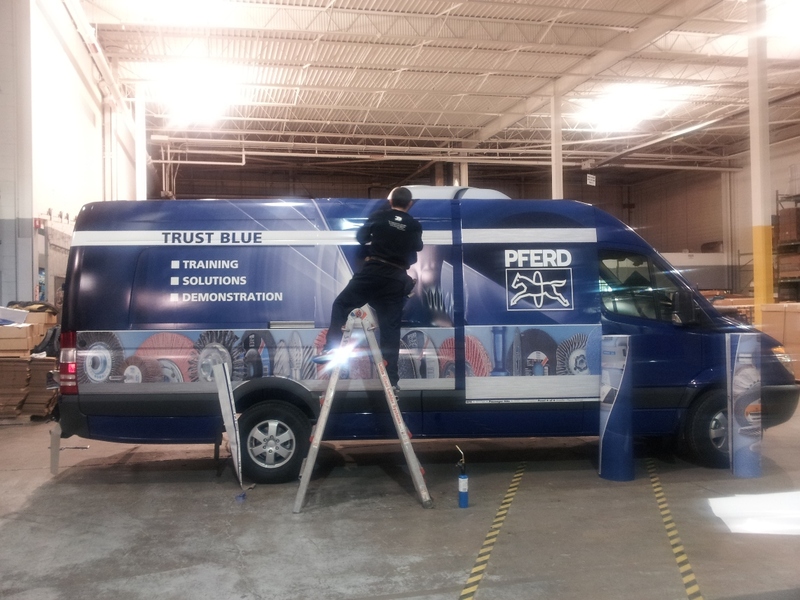 The TOOL VAN will be PFERD’s “Mobile Solutions” vehicle, making appointments and calls on distributors and end users to demonstrate PFERD products, develop application solutions, and provide training and expertise on our expansive product line. 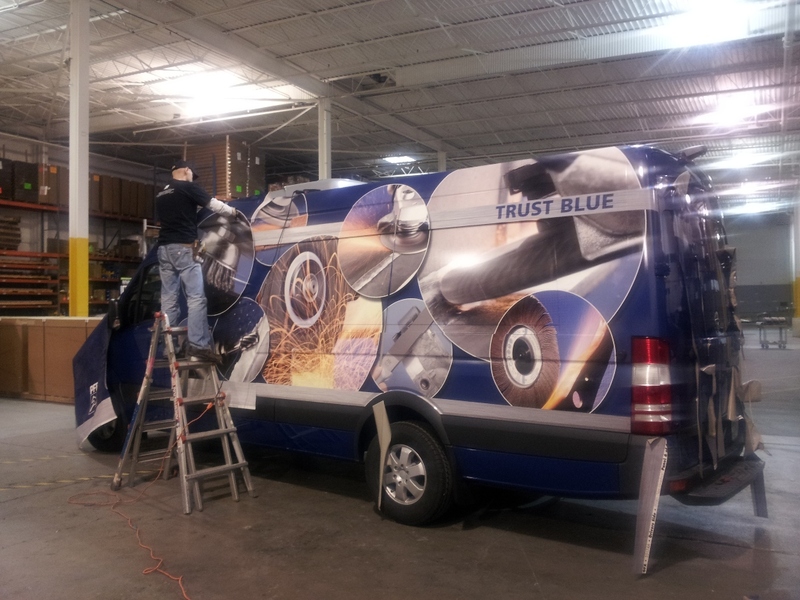 The TOOL VAN is currently on its way to Monroe Truck for interior installations and fixtures, after which it will be ready to roll!